Clownfish, or Anemonefishes as they are sometimes called, are perhaps the most recognized species in the marine aquarium trade. Photos of bright orange clownfish hiding amongst the stinging tentacles of anemones have become the de facto representation of coral reefs, instantly recognized by people the world over. 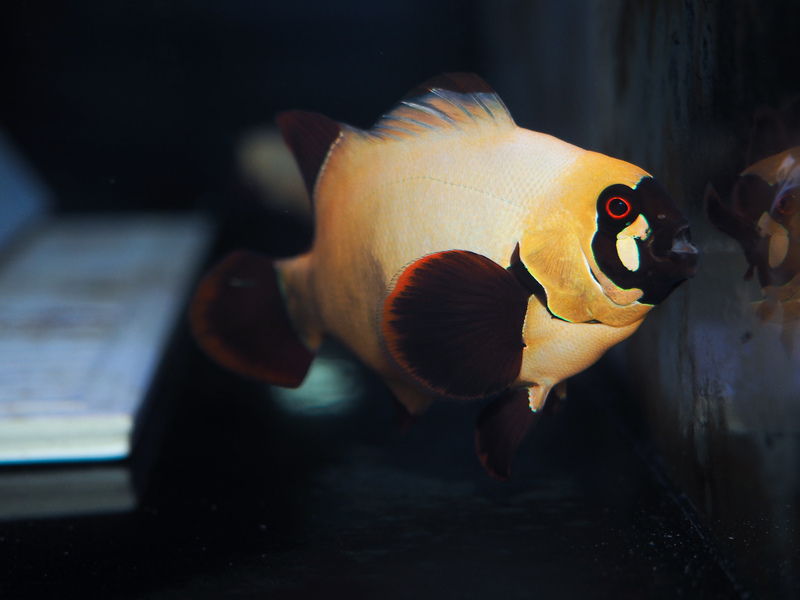 Luckily for aquarium keepers, they are also an ideal marine aquarium species and have become virtually domesticated in the last several decades. While the bright orange Ocellaris clownfish is most recognizable, there are many species of clownfish with a wide range of appearances. They can be found in colors ranging from yellow, orange, brown or black and they can have one, two, three or even no stripes! 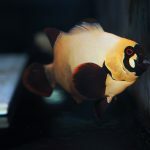 There seems to be a clownfish species for just about every type of saltwater tank! One of the most unique aspects to clownfish biology is their ability to live within the stinging cells of anemones. Clownfish possess a special mucous coating that allows them to avoid being stung. Living within the tentacles of a stinging anemone has several advantages. The anemone provides protection for the clownfish from predators, as well as a safe place to lay their eggs. This mutualistic relationship is not one sided however! Clownfish will fiercely defend their host anemones from any perceived threat, in fact they have been known to charge out and attack scuba divers who have gotten to close! Another very fascinating aspect of clownfish biology is their strategy for reproduction. They practice a reproductive strategy known as sequential protandrous hermaphroditism, in which fish are first transition from non-reproductive juvenile, to male and finally reproductive female! 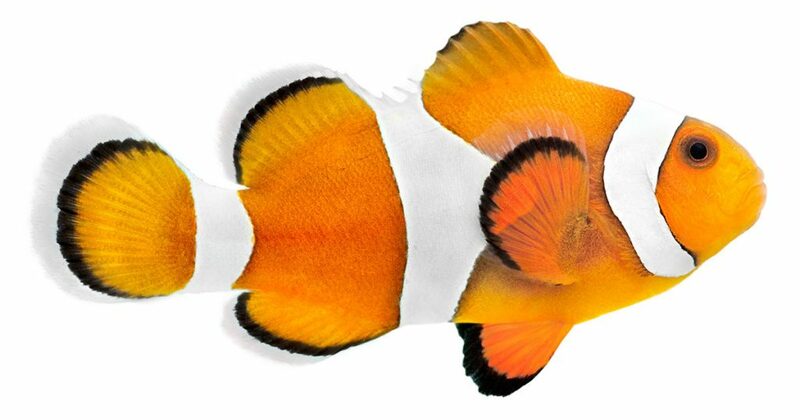 Clownfish are in many ways the ideal marine aquarium fish. They are considered a very hardy, do not attain an overly large size, and require only a minimal territory. In the wild clownfish consume primarily zooplankton such as copepods and Mysis sp.. They also will graze on the algae found growing at the base of their host anemone. It is important to replicate a balanced diet in captivity, and we suggest a diet based on PE Calanus and PE 1mm Saltwater Pellets. Due to their nature of inhabiting anemones in the wild, many species of clownfish do not require a very large tank. However, it is important to consider carefully what species of clownfish may be best for you tank. While smaller species such as the Ocellaris clownfish (Amphiprion ocellaris) are suited to tanks as small as ten gallons, larger species such as the Clark’s clownfish (Amphiprion clarkia) may be better suited to a larger tank. Please see the selection of clownfish species below to learn more about the individual needs of different species!